Nautique contacted me today and asked me to make a post about Pebble to Rebble -- Using Rebble software on older Pebble watches to make them compatible once again with Nautique Surf System. From what I have gathered, it appears that you can use the Rebble software and App Store to obtain the NSS software for the older Pebble watches. This should work fine for people who own boats with NSS and the Surf Select option on boats from 2017 - 2019. If you have a 2016 or older boat, the Surf Select module will be an older version, and would need to be replaced with the 2017 - 2019 version to integrate properly with the Pebble Watch with Rebble software. The newer Surf Select Module 2.0 part number is 170155 and is compatible with 2016 boats. This module is $279 is available from Nautique dealers. This module will bring the Surf Select up to the current level in 2017 - 2019 boats. You might be able to use the PN discount if you order it through NautiqueParts/White Lake Marine, but you would need to call them because it isn't listed on their website. They can definitely get it though. Yep, it's Rebble and has been for quite a while now. There is a LOT of information in the other thread that Jeff linked. Rebble isn't different software or firmware for the Pebble watches. It's just a replacement for the old Pebble servers which were shut down months ago. Charles will probably be able to answer my question but I thought I would post it hear since other folks may have the same question. I have 3 Pebble Time watches set up with the Surf Select software and I have the Pebble app on my Iphone. All 3 watches function fine with my 2017 G23. Is there any reason for me to download this Pebble to Rebble conversion on my Iphone if my current Pebble app is working fine? Nope. Nothing will change anyway if you do. 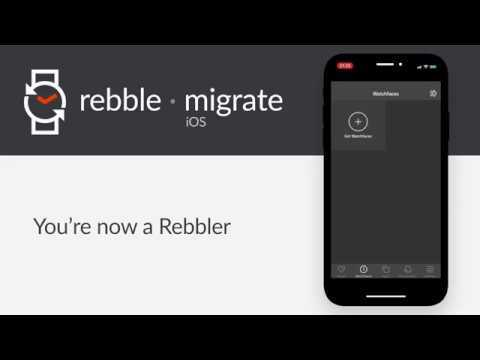 The only thing the "Rebble Conversion" does is repoint the app on your phone to look at the new Rebble servers instead of the old Pebble servers, which no longer exist. Everything else is exactly the same. I apologize in advance of this thread hijack but my comment is in relation to the first post so here goes. Why in the heck is Nautique asking you to post about this workaround???? Not every Nautique owner possibly affected by the Pebble situation is on this site. This is an issue with every boat equipped with the system and they should be trying to reach the entire affected population. It is not their fault and I don't think anyone holds them to blame for Pebble being bought out/discontinued but their response or should I say nonresponse until this post reflects poorly on the brand. I am not saying they mail or contact everyone individually but this info should be on THEIR site! To take it one step further, while they are at it they should comment on where they are on the switchover to Garmin. If they are going ask you to disseminate info for them, then how about they respond to member concerns on this site when they start consuming a lot of the conversation on this site? I love Nautique's product but in my opinion they fall flat on their face when it comes to communicating with their owners on broad issues that affect a large population. It is the one blemish on their otherwise stellar brand. I get they want dealers to be frontline in communicating but when the issue affects many owners they should put out statements or something that acknowledges the issue, outlines a path forward and encourages owners to work with their dealer network. To not do so leads to a variety of stories, theories and responses that vary widely across their dealer network. Those all end up back on this site or facebook and it creates a cloud about Nautique that is brand negative. 1. G series prop failure. Need I say more? What has hurt their brand more in recent years and to date I don't think Nautique has officially said anything. 2. This Pebble situation. Pebble discontinued, no statement, questions about how to keep functionality working, rumors about Garmin transition. This one hits close to home .I ordered a 2019 G with a build date of December and because I read all the stuff about the Garmin switch over starting in boats built after November I thought I would be good to go with the newer technology. I asked my dealer about this when we ordered in November and was told yes the boat would be Garmin compatible. Guess what I had the wife buy me for Christmas...a $500 Garmin Fenix! Fast forward to the last few weeks on this site and now I am hearing no Garmin on 2019s. I asked my dealer about it, told them the rumors circulating on here and they said it was news to them and they are going to have to check on it. When we spoke last week the dealer confirmed again that they were told at the dealer meeting in the fall that post November builds would have Garmin. Still don't know what to believe at this point but I suspect no Garmin is the answer. If you follow Bill Yeargin you may know that he writes open letters to the President of US about the economy and the marine industry. Here is my open letter to Bill about Nautique...hire a VP/Director of Customer Engagement/Communications. Task that person with tightening up your communication and addressing broad issue that affect your offerings. Don't involve that person in marketing. Existing owner communications only. They can help tighten customer engagement, satisfaction and ultimately dealer/customer relations. Have them seek out and eliminate harmful speculation and concerns that are harmful to your brand. Well said . You hit on most major issues with the Nautique brand . 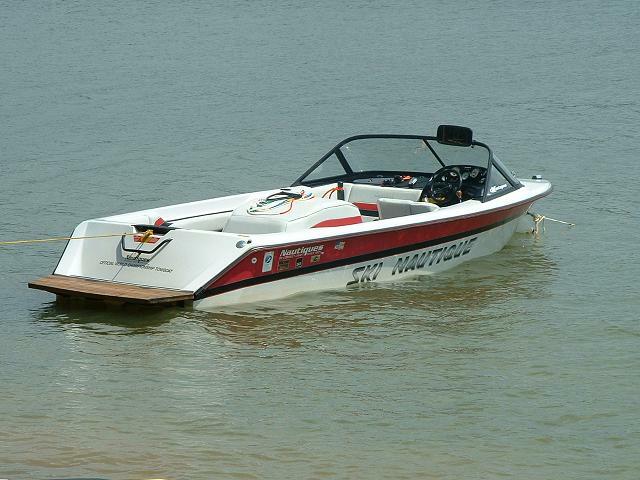 Hopefully your post will get traction back to Nautique.